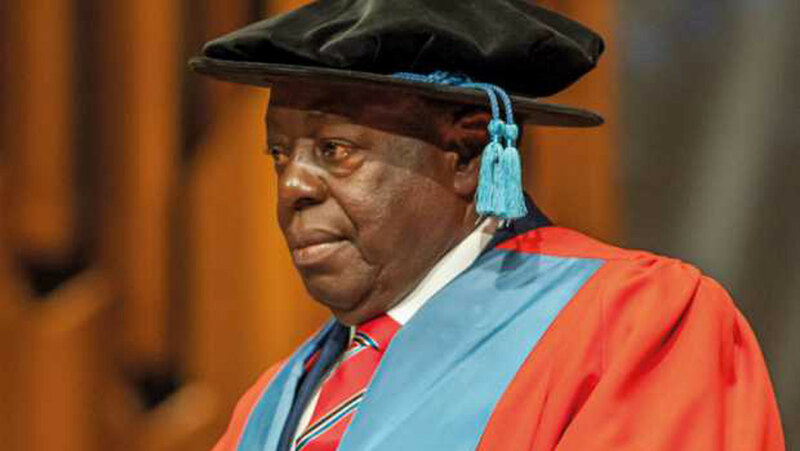 Aare Afe Babalola, founder of the Afe Babalola University (ABUAD), has expressed excitement for winning the 2018 Obafemi Awolowo Leadership Prize award. The Senior Advocate of Nigeria (SAN) was named the winner of the prize by the chairman of the eslection committee and former Secretary-General, Commonwealth of Nation, Chief Emeka Anyaoku, at the unveiling of the new look Tribune which was held at the Sheraton Hotel and Towers, Ikeja, Lagos. Babalola’s emergence as the winner of the prestigous award came four years after former South-African President, Thabo Mbeki, won the award in 2014.
in 2012, Nobel Prize winner, Prof. Wole Soyinka, had won the award with Chief Afe Babalola emerging as the third distinguished personality to win the award in 2018. Speaking on Wednesday with newsmen on his feat, Babalola said “when i heard the news, i was very happy. It was a minister who called my attention to the announcement. The legal icon and founder of ABUAD asked well-spirited individuals to join him in the task of building the nation, especially in giving back to the society, in order to make it better than it was.